Love Quotes!!! Just found your blog through the book Do Hard Things. Thank you guys for making a difference. You are all inspiring. We love quotes too! :) Do Hard Things is an awesome book! That's how I found Bloom! too. I never ever imagined that I'd become one of the "Bloom! girls". God has a crazy amazing way of working things out. Thank you so much for your sweet note. Remember no matter who you are, you are someone's inspiration. Never doubt what God may be doing in the background. Take the opportunities He gives you and run with them. Just take the first step. The rest will fall into place through His careful hand. Have a blessed day! 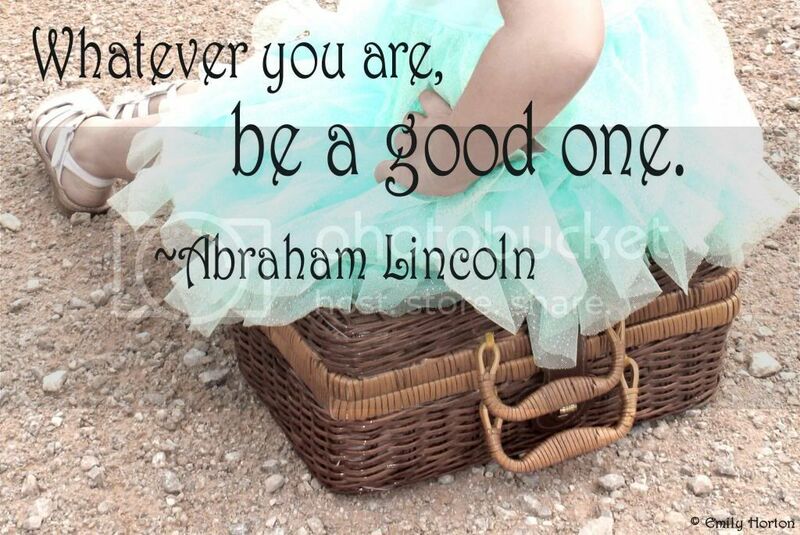 Abraham Lincoln quotes are always great. :) This shoot was a fun one to do with my little sisters. Hope you have a great weekend!